I'm thinking more along the lines of health and environment. Unlike chlorine based bleaches, sodium percarbonate is non-toxic and biodegradable. work amazingly ... cheaper than bottled cleaners and better for your health and environment. Inside the stem? Outside? If it's outside you're just smelling sulfur IMO. Use Magic Eraser with Soft Scrub to get off all of the oxidation. Get every last little bit. Once you can look at it in sunlight and see absolutely no green it should smell okay. Better at least. Life is good. But it's better with a pipe. I would be VERY careful using ozone on Vulcanite or Ebonite (both sulfur-vulcanized rubber compounds), as it will quickly degrade it. Ah. Yes. Stem, not bowl. Disregard ozone. 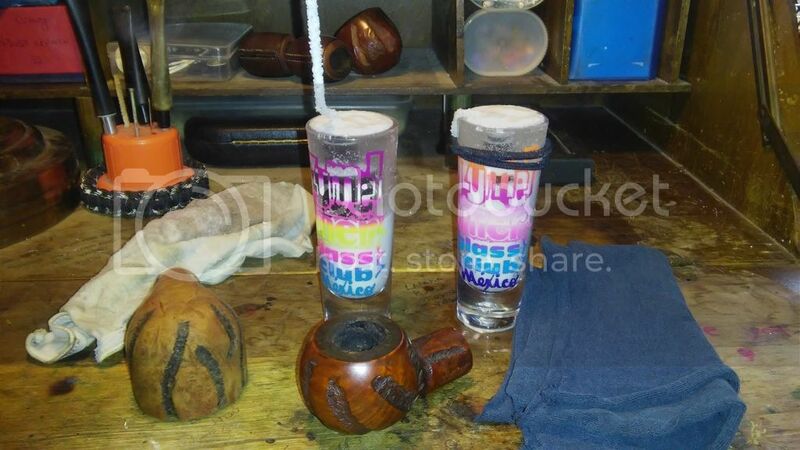 Try the non-toxic, non-destructive cleanings suggested, and if the stem still smells bad, and if you still want the pipe, go for the replacement stem. 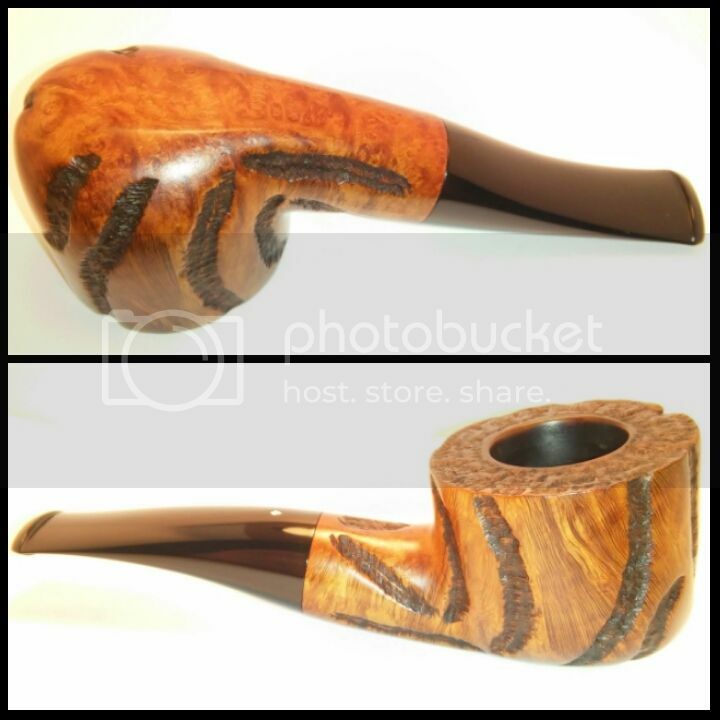 The sense of smell is a very potent prompt to the memory and imagination, so your appetite for the pipe might have been eliminated by this persistent smell, in which case, trade that briar away. If all else fails, try the bleach. If it has a metal stinger you'll have to cover it with Vaseline. Bleach will eat the metal. You'll also have to wet sand the stem afterwards. The bleach smell will dissipate after a few days. The smell is inside & out. I've done two retorts, an oxyclean bath, scrub with soft scrub/magic eraser and sanded with 1000 grit no oxidation left. The beast won't die ,my wife thinks it smells like it was smoked by a one toothed man with halitosis then tossed in a urinal. (The smell is reminiscent of a restroom on a hot summers day.) I might have to try bleach but I don't want to lose the stem logo. The worst part is there's two of them. I'm hoping the other isn't the same story. Beast #2? Time will tell. If the stem logo is the plastic insert instead of painted on, bleach won't hurt it. You can put a dab of Vaseline over the logo just to be safe. Coat the stinger generously and plug the draft hole with it as well. Bleaching is soooo much easier when there is no metal involved. Thanks Dave ,no metal involved I'm gonna try the bleach first thing in the morning and the logo is an inlay so I'll put a dab of Vaseline on it. 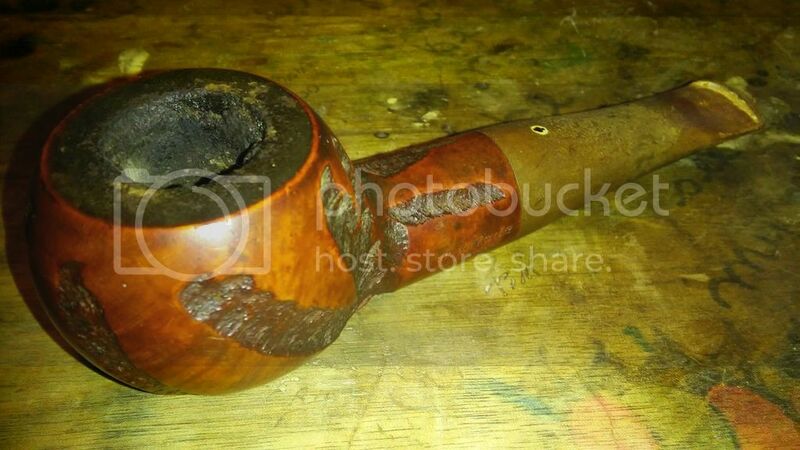 I've been restoring my own pipes for a long time and never ran into this before. 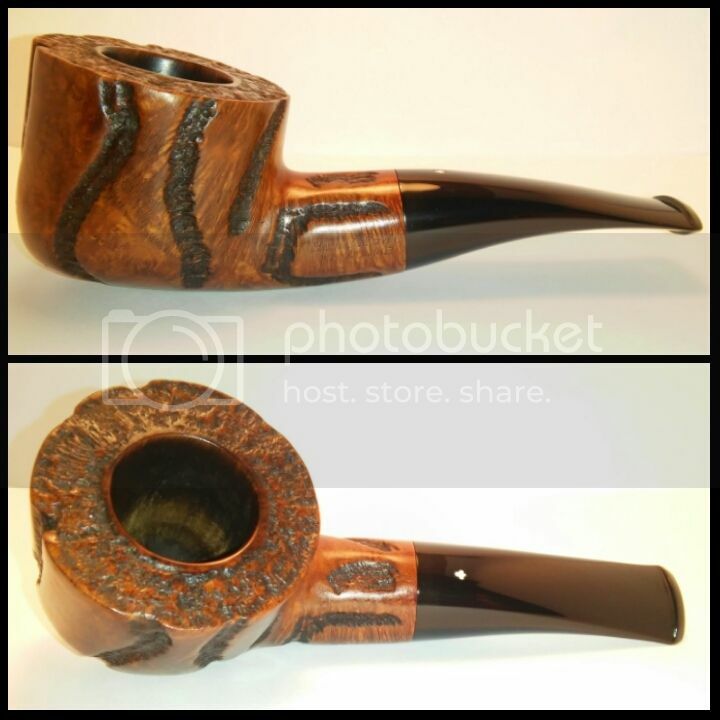 Im amazed the briar hasn't soaked up the same smell. I'll second Dave. Tape off or use something to cover the logo. I've done probably 30 kaywoodies and that logo is some sort of paint or filler I think. I've a few that needed the logo replaced. None so far on black and white logo so it could be tougher. Boy, if baking soda and Hydrogen Peroxide don't work, that would leave me clueless. I can vouch for them as scent removers, at least as far as getting skunked goes. 4:1, peroxide to soda works on the dogs and is safe for all but their eyes. (But the pipe stem doesn't have eyes). But... maybe that only works because the skunk oil is on the surface and won't penetrate if the stem is deeper affected? Not having tried it in a situation like yours, can only give testimonial about its smell-eliminating power in general. My wife & daughter have taken over it's kinda like science class. My wife's 4th of July cocktails ,Ingredients - Hydrogen peroxide ,vinegar, dish soap and baking soda. The other stem same story. Will be interested to see how this turns out. I would have thought that the retort would have fixed it. But how many bristle cleaners have you run through it? I was wondering if soaking it with a pipe cleaner inserted may stop some of the cleaning solution from getting where it needs. I am pretty sure I will be pointing out unnecessary things you have already done. Good luck. 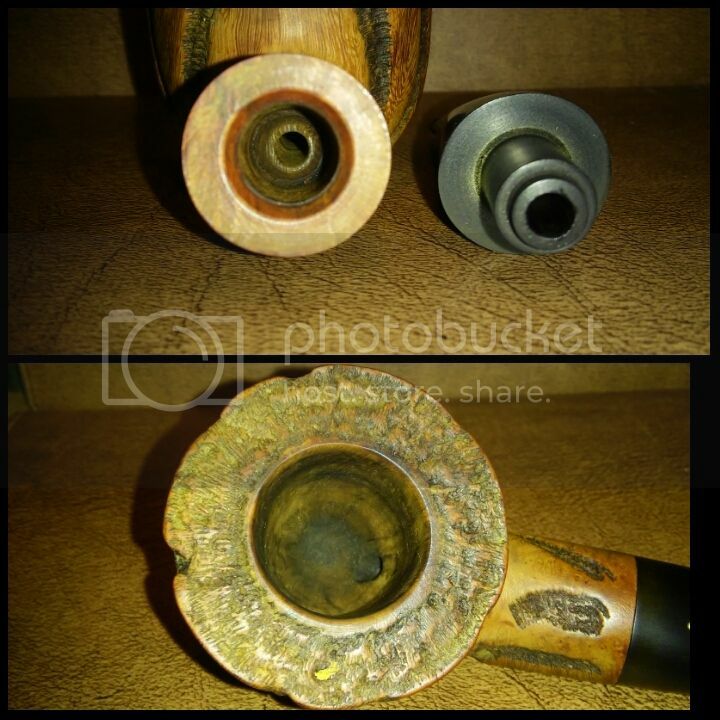 This is the first time I've used bleach in the cleaning of a pipe stem . I used a 4 to 1 mix and the outcome was promising that is until I started sanding the stem with mesh. The beast once again emerged from it's slumber. Or do I need to soak the stem longer then 4 minutes at a time. My other question is what causes this stench? 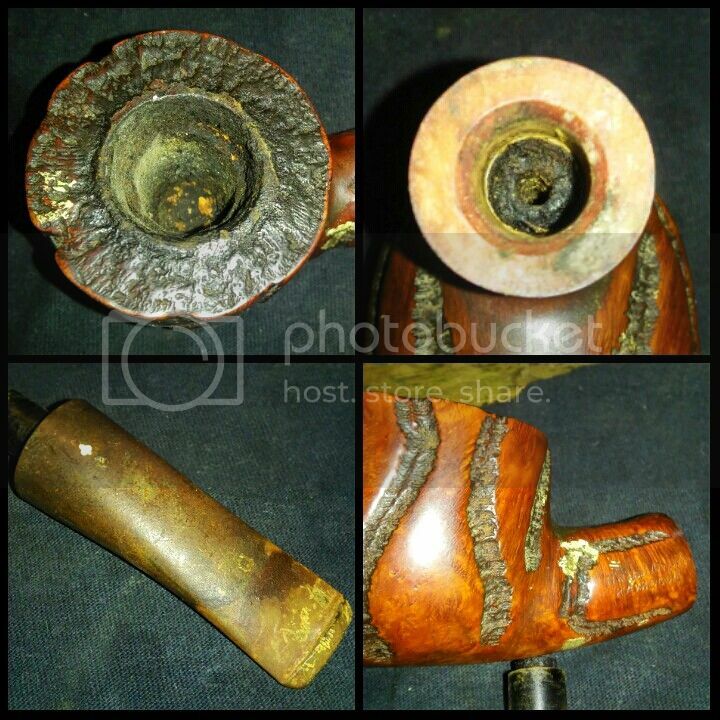 Hundreds of pipes have passed through my hands over the years in much worse shape then this one and the smell was never attached to one of them. My wife has solved the problem! 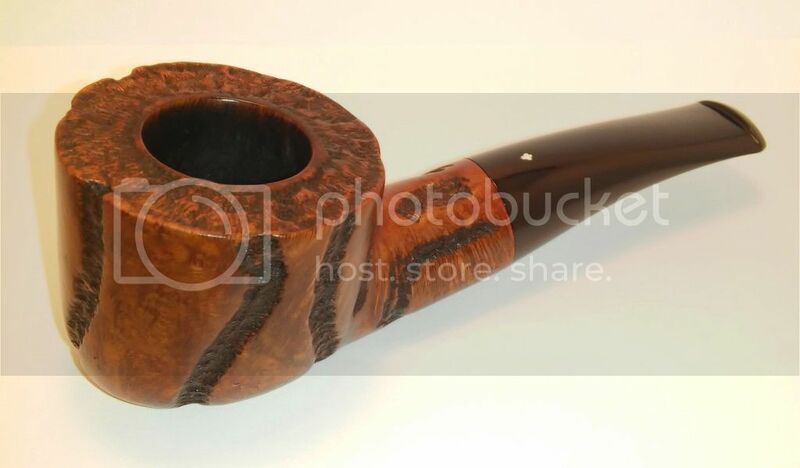 But seriously -I have a soft spot for the short old chunky pipes and she's coming out nice. 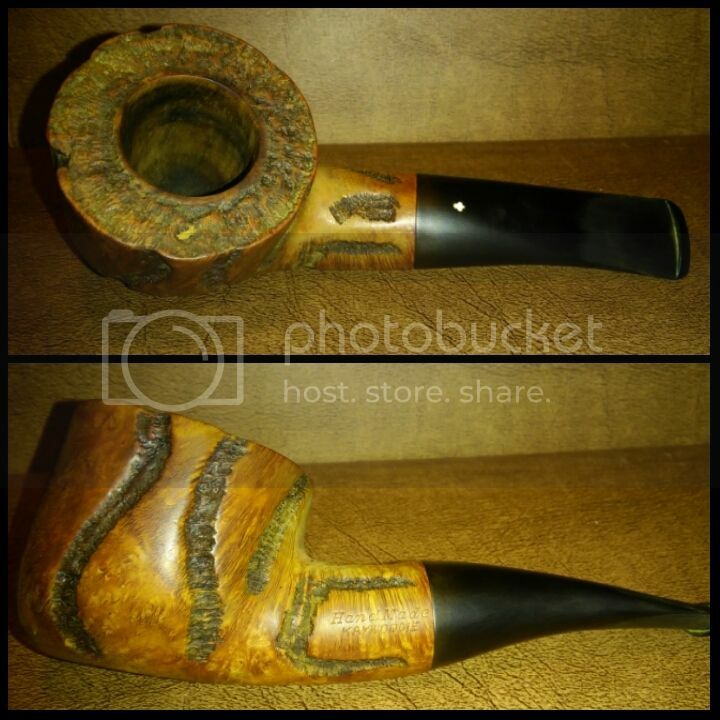 KAYWOODIE complete- The stem smell isn't completely gone but it's tolerable and the draw is tasteless. Thank you all for your time and knowledge. Nice work! It looks factory fresh. 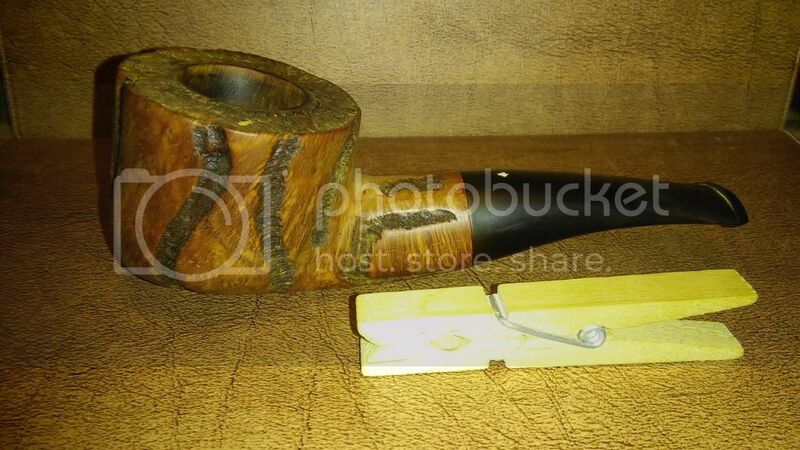 Great work and sounds like there has a happy ending considering where you started out with the pipe. Love the shine on the stem.